Provide a complete address book to your clients. They can create new contacts via an easy to use interface. Also there is a bulk contacts import tool that allows them to upload files of different formats at their personal account. 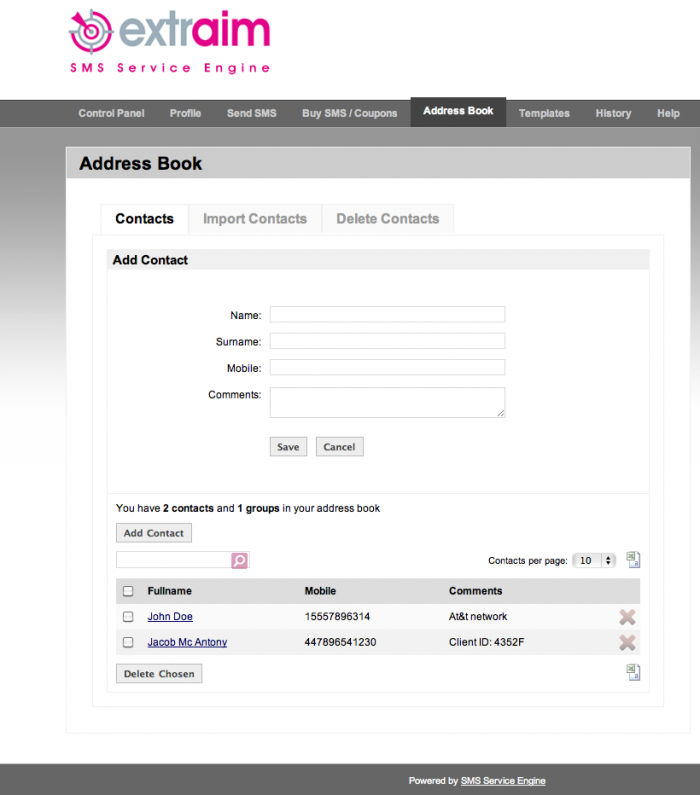 SSE allows you to configure extra fields that you want to provide to your clients for their contacts. eg birthday, address etc. All extra fields can be used as macros to send even more personalized SMS. Create contact groups to categorize contacts.